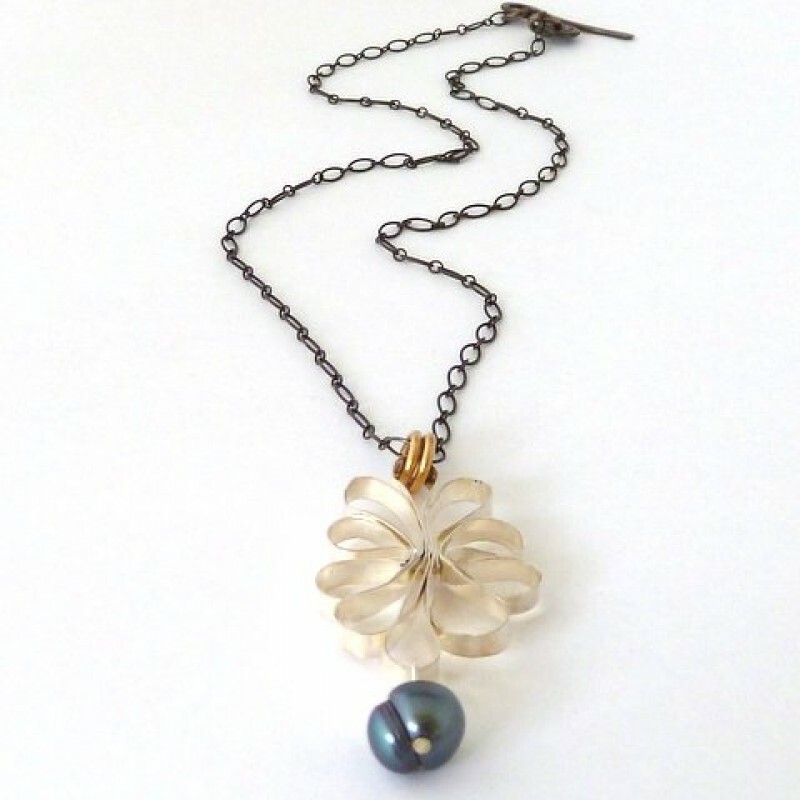 Sterling silver antiqued and oxidized chain and 14k gold filled rings accentuate the shiny handcrafted blossoming flower and the gray fresh water pearl. 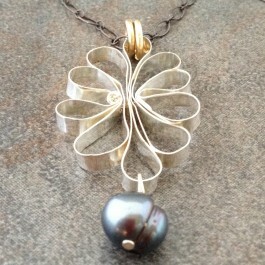 Sterling silver pendant is hand formed of sterling silver strip with a grey-blue pearl swaying at the bottom. 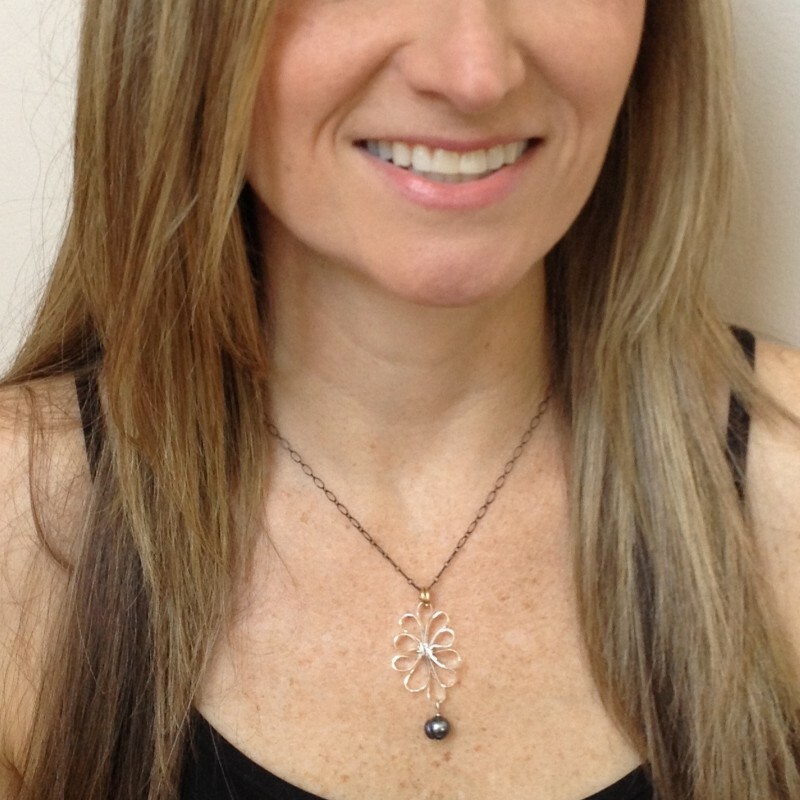 14k gold filled double rings hang the pendant from oxidized sterling silver chain. 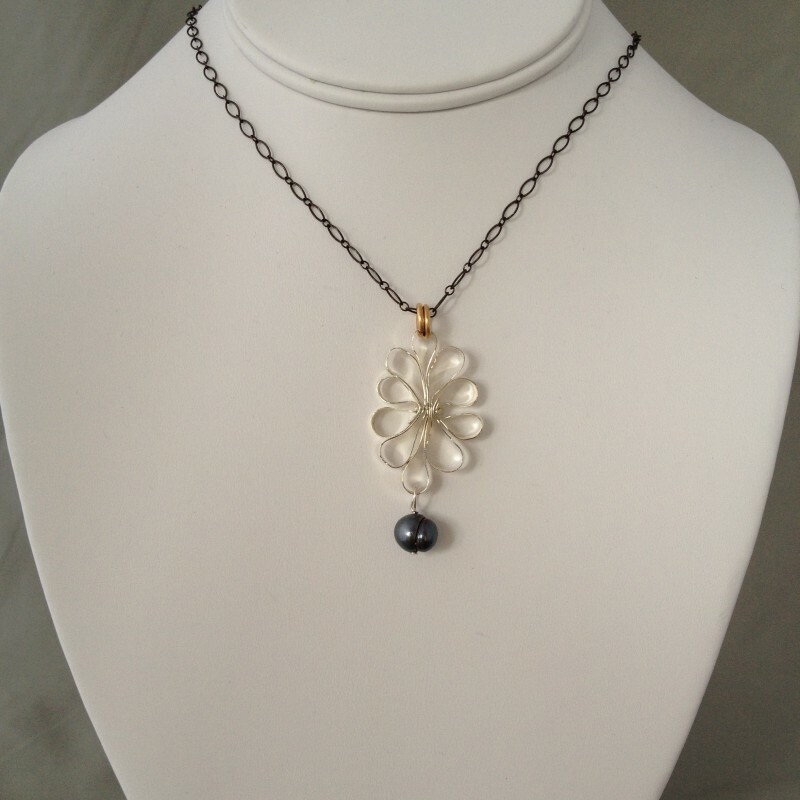 The combination of the shiny silver of the flowery medallion with the gold of the rings, the blackened chain and the gray fresh water pearl make it a versatile necklace. 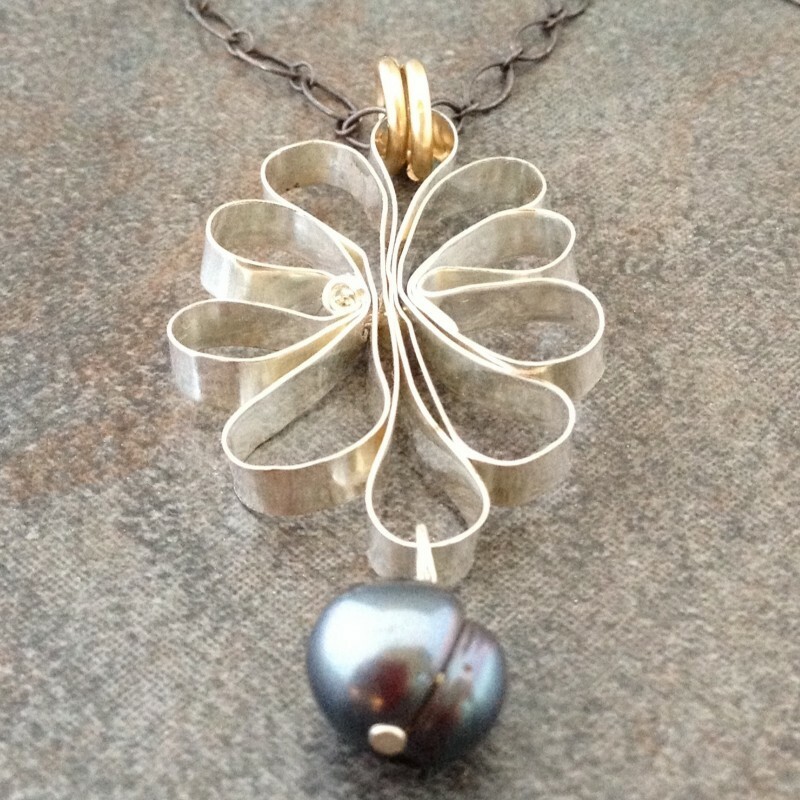 Pendant is about 2" long and 7/8" wide. 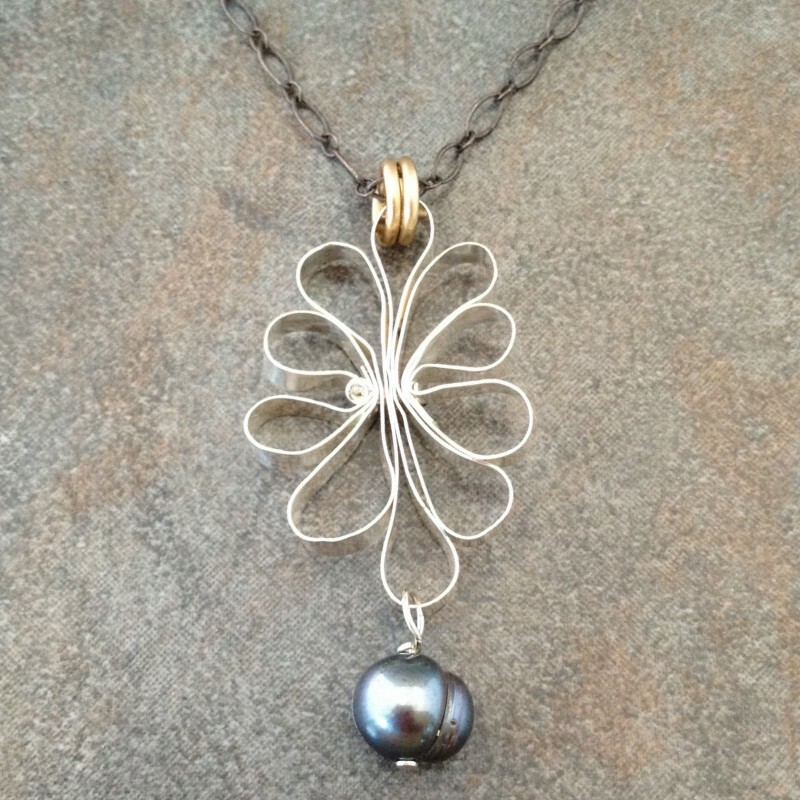 Necklace is 16"-18" long with a handcrafted clasp.